Understanding the make-up and purposes of these tests is important and will contextualize your test preparation. Subject Tests are offered multiple times throughout the school year (October, December, January, March, May, June). Subject tests last 1 hour. 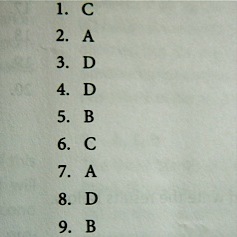 Most subject tests are made up of only problem-solving questions (some language exams include a listening comprehension section). The importance of subject tests comes pre-admission, meaning they are a great way to strengthen your applications. Some highly competitive schools actually require them. AP tests are offered once per year (in May). AP tests last 3 hours. Most AP tests (except studio art and music theory) consist of multiple-choice questions and an essay (or 2). The importance of the AP comes post-admission, meaning once a college or university has accepted you. A score of 3 is considered passing, while a score of 4 or 5 will earn you college credit. Many students use high AP scores to pass out of introductory level college courses. The fields of study tested on the SAT subject tests and APs overlap. Keep in mind that the APs test the same content, but also introduce more challenging material. A high score on both types of tests looks good on your application. An 800 on a subject test or 5 on an AP never hurts! Colleges see all your scores, but will only use your highest score on each test. You can re-take both tests, if need be. So, how can you make the most of your time spent on standardized test preparation? As an SAT tutor, I can pretty confidently state that you can get a lot more out of your time spent preparing for the SAT subject test if you keep the AP in mind. As you map our your study schedule, identify the overlapping content and question types, and definetely allow for some time to focus on the APs more challenging topics. You are saving yourself time by aligning your test prep, but don’t skimp on your AP studies. Talk to one of our APs tutors to learn more about doing well on the AP.